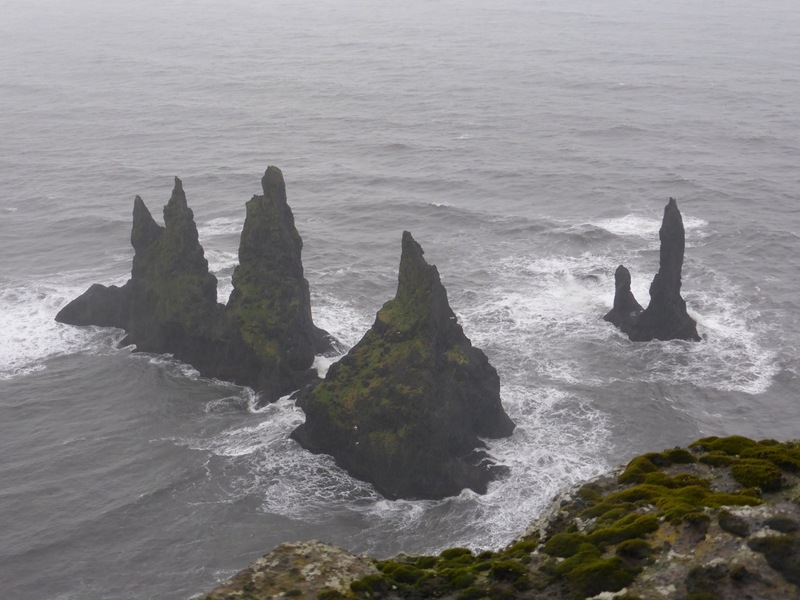 The southern coast of Iceland is among the most beautiful and dramatic parts of Iceland. 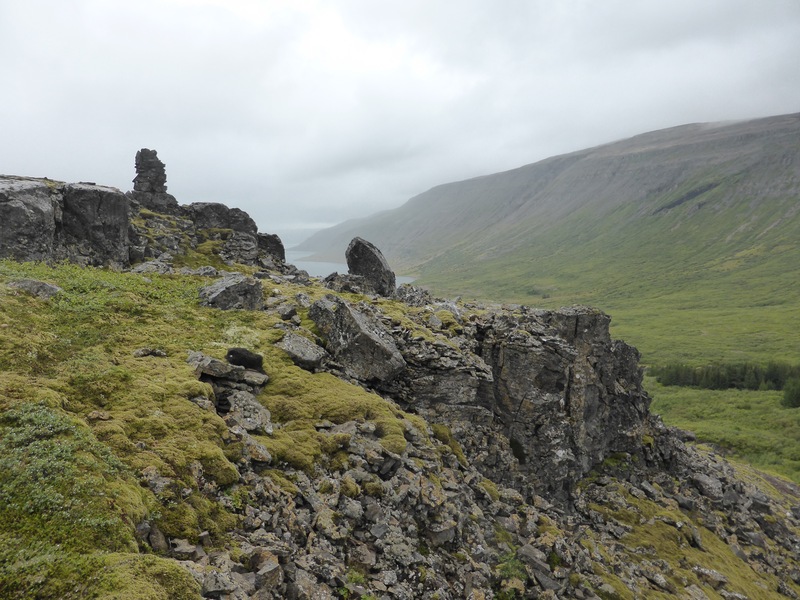 It is also one of the least hospitable areas, dominated by washed-out sand and lava flows, and an exposed coastline with no natural harbours for hundreds of kilometres west of Höfn. 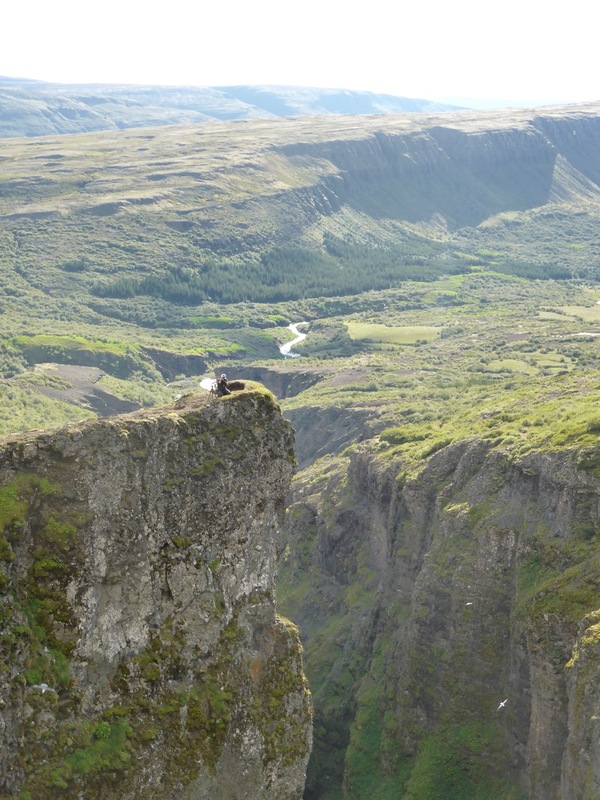 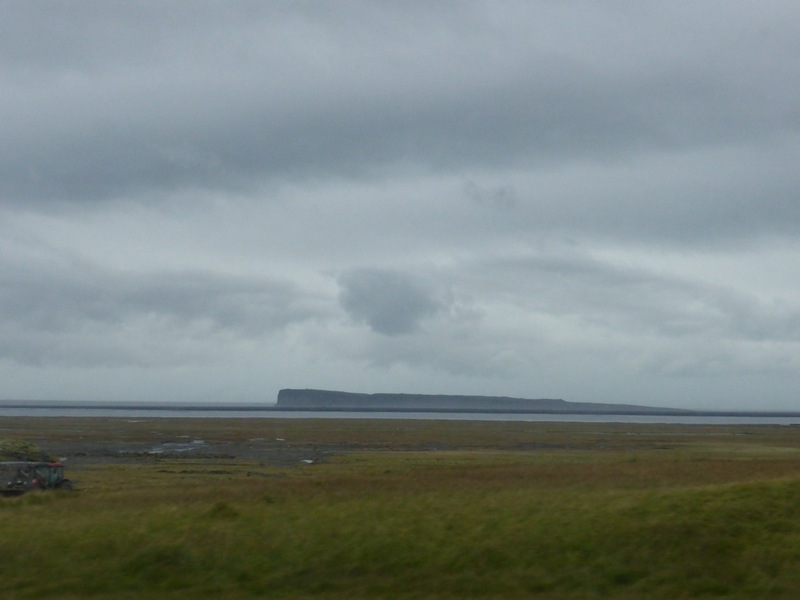 Inevitably given its location, it was the first part of Iceland that many travellers came to, including the very first Norse settler, Ingolf Arnarson. 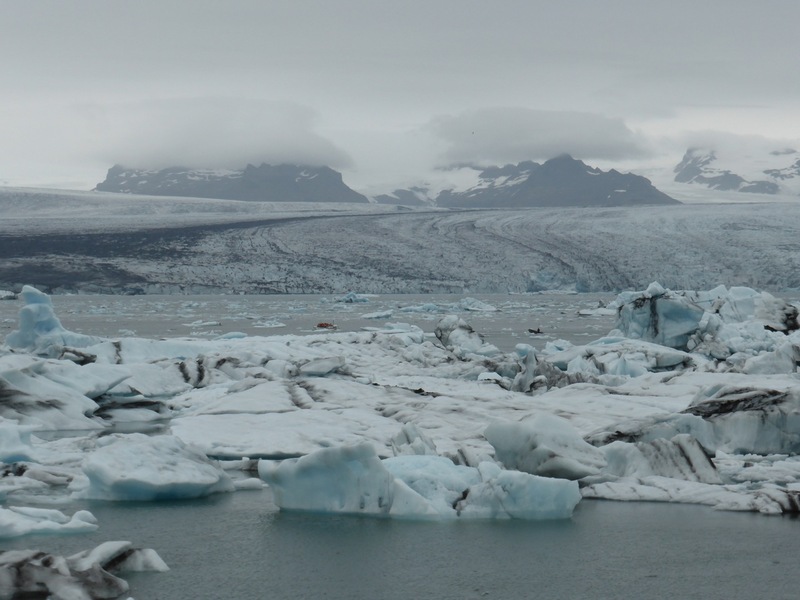 It shows either confidence or desperation that Ingolf and the settlers that followed him pushed on past this unpromising beginning to find good land and safe harbours further round the coast. 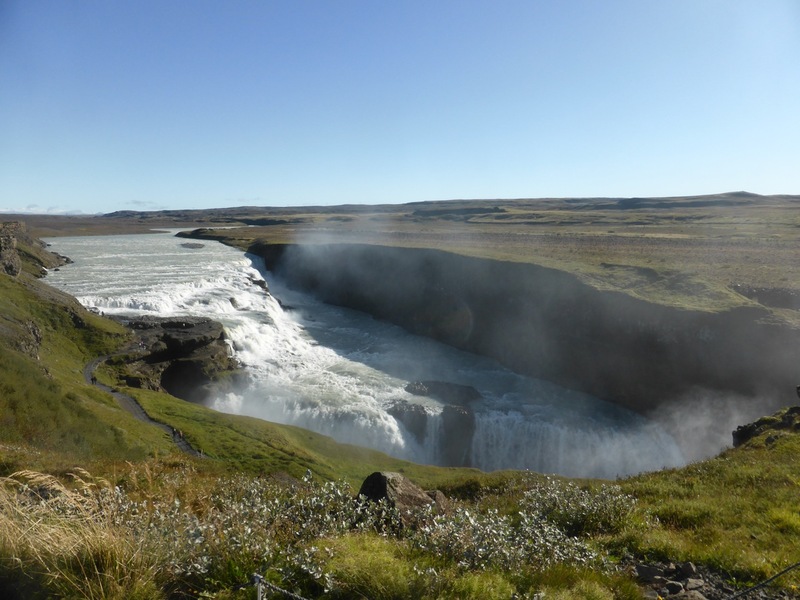 In 874, according to The Book of Settlements, Ingolf Arnarson and his sworn-brother Hjorleif arrived in Iceland and were separated as they approached land. 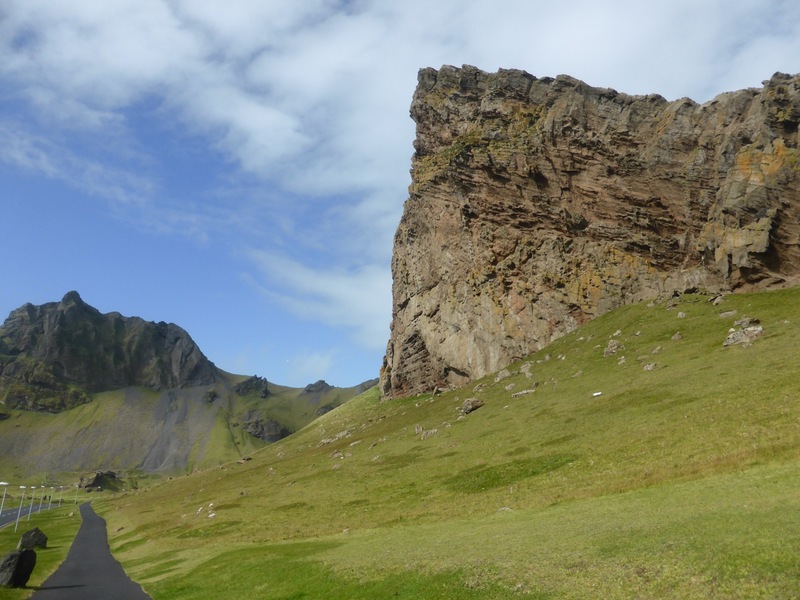 Ingolf spent his first winter on Ingólfshöfði, a distinctive 77m high headland in a vast expanse of flat sand. 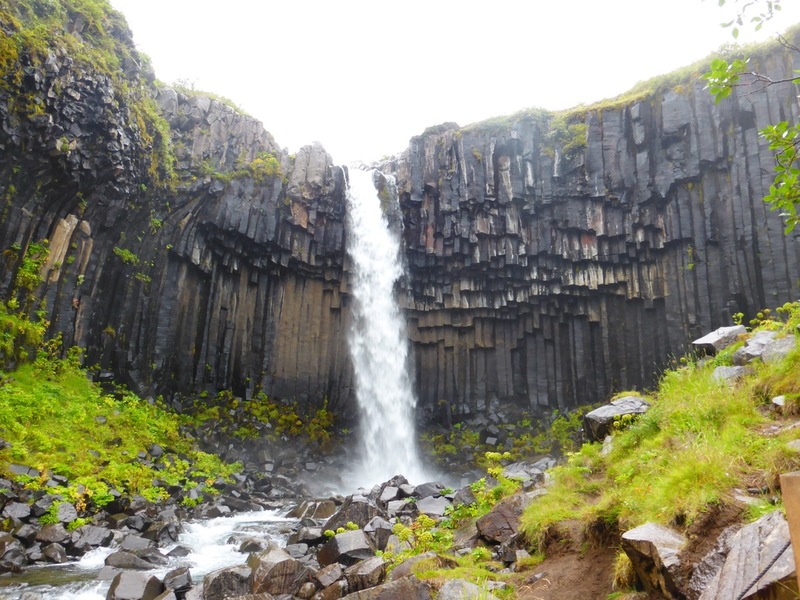 During that first winter they must have explored the surrounding area and found some of the pearls of the Icelandic landscape. 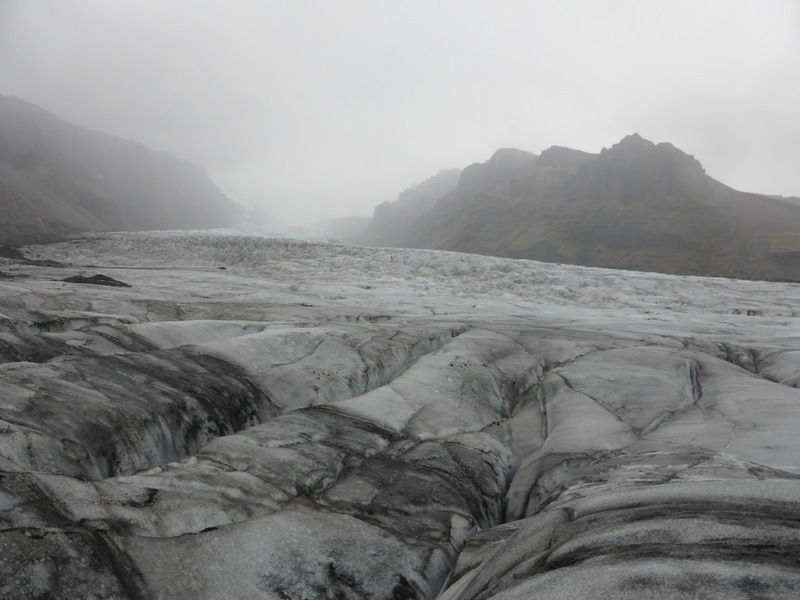 Probably Ingolf and his followers would have continued up the mountain until the vast bulk of the Vatnajökull ice cap appeared before them, Europe’s biggest by volume. 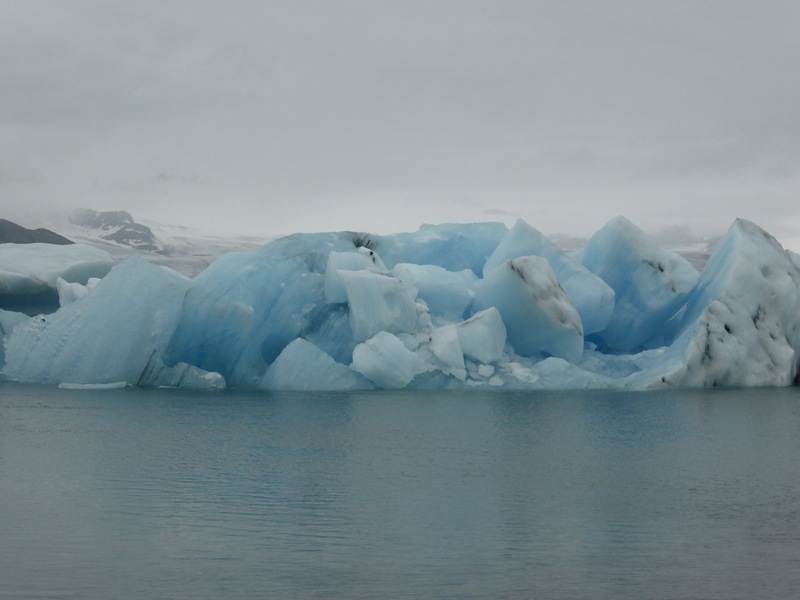 On other expeditions they might have travelled east along the coast until they came to Jökulsárlón, a glacier lake made famous by several films and television programs, including two James Bonds. 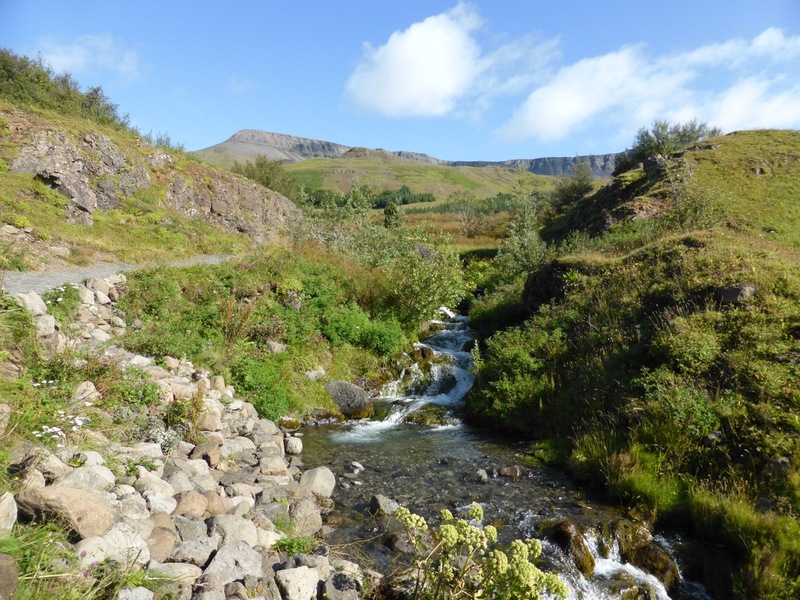 They would surely have been as enthralled as I was by the landscape, but they must also have been worried by the apparent lack of good land – though a couple of successful farms were later established along the foot of the mountains here. 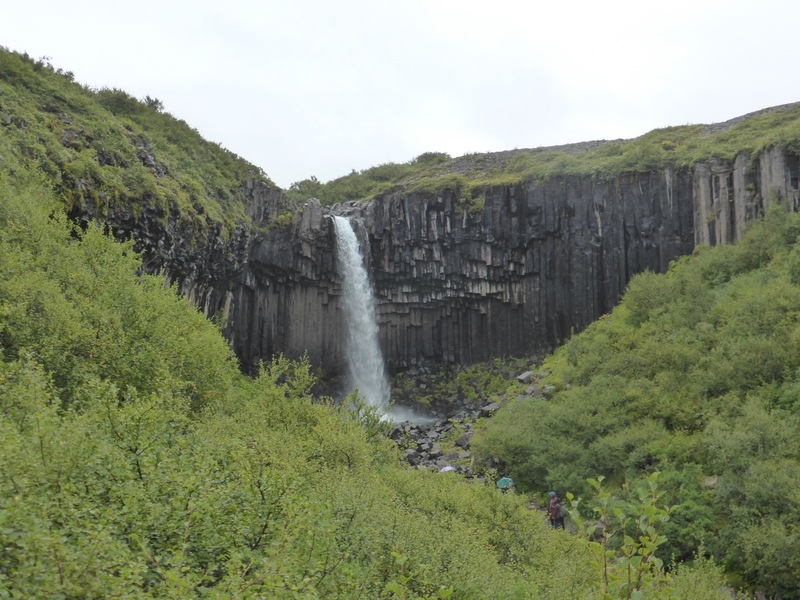 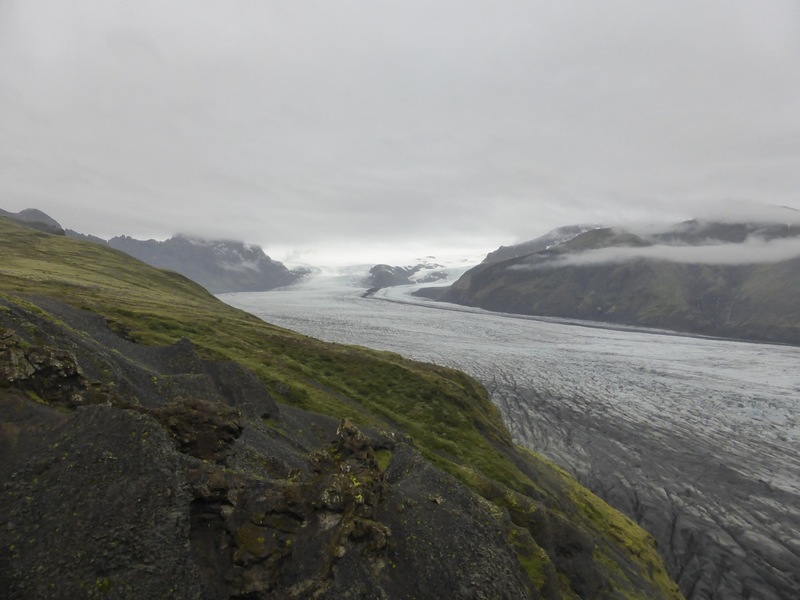 I hitched my way westwards along the coast from Höfn, stopping to visit glacial lakes, waterfalls, and for an ill-advised scramble onto a treacherously ridged glacier. 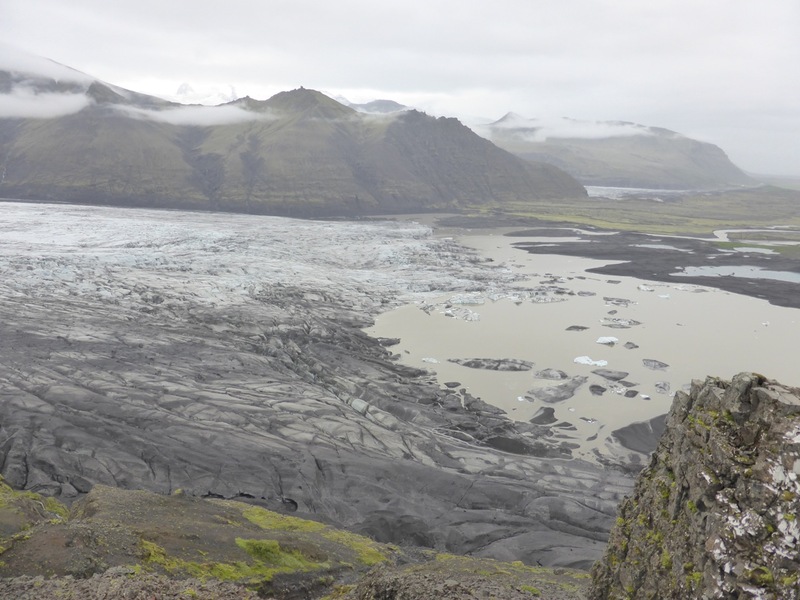 My aim was to get to Vík that night, near where Hjorleif landed and spent his first winter. 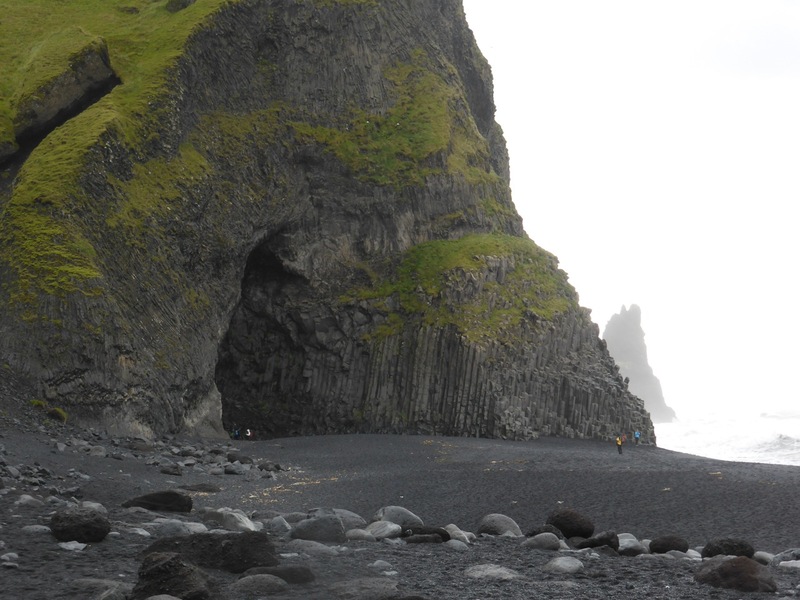 Here too natural wonders abound; the petrified trolls of the Reynisdrangar sea stacks and the basalt cave at Reynir. 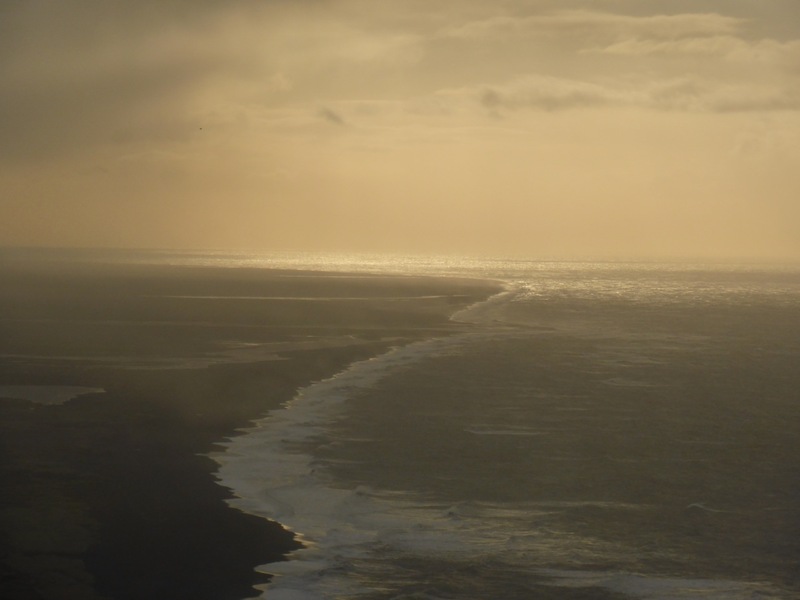 And not least the miles and miles of perfectly black beaches, emphasised by the white foam of endless waves breaking on them. 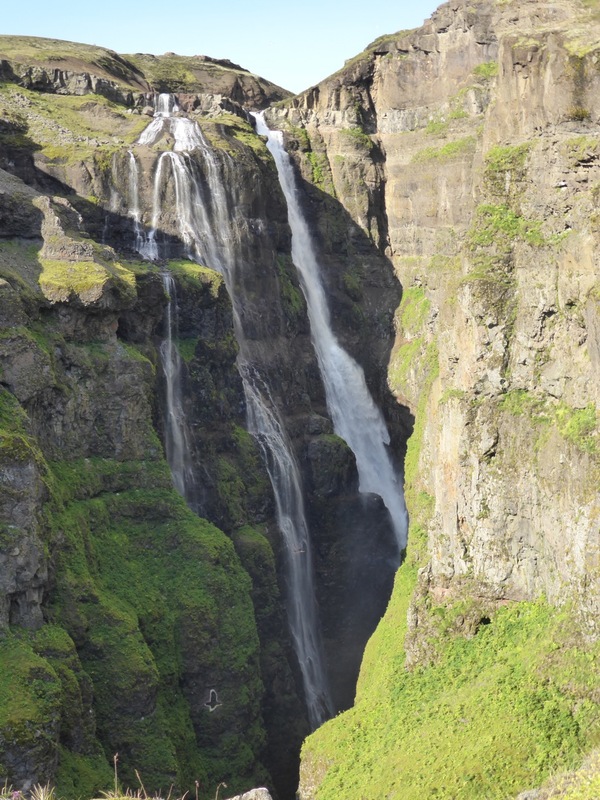 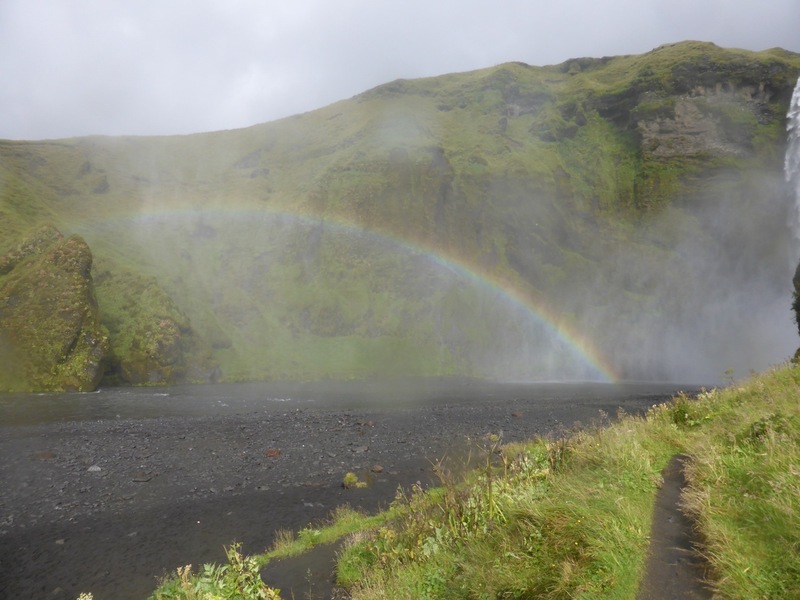 Further west is the waterfall Skógafoss, among the most distinctive and postcard friendly of Iceland’s waterfalls; it was even the scene chosen for Iceland’s Eurovision introduction this year. 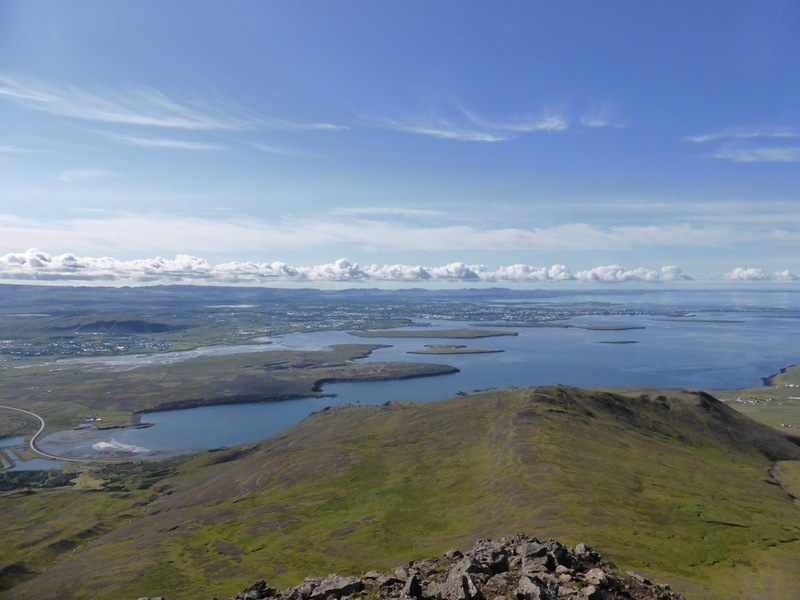 The land around Vík and westwards along the coast is better, though natural harbours are still lacking, and Hjorleif decided to settle permanently. 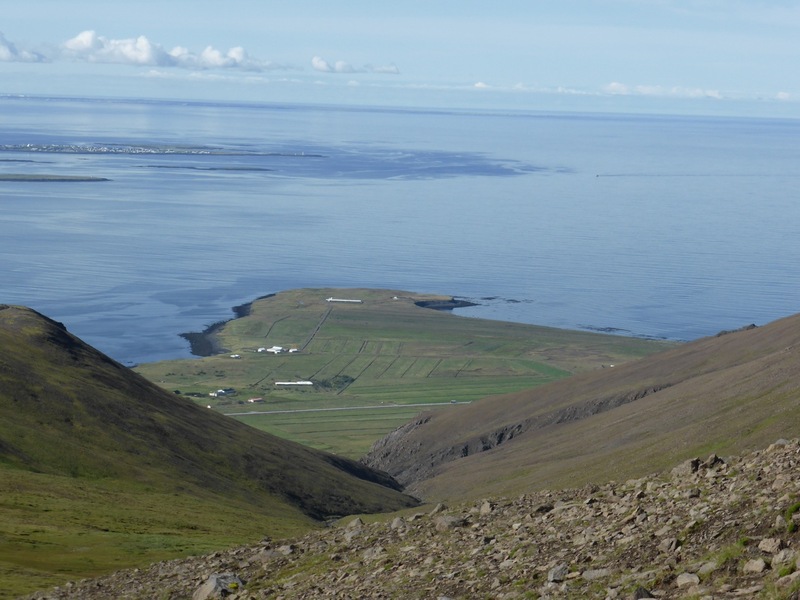 The story goes that having no oxen he forced some recently captured Irish slaves to pull a plough before sowing the first crop the following spring. 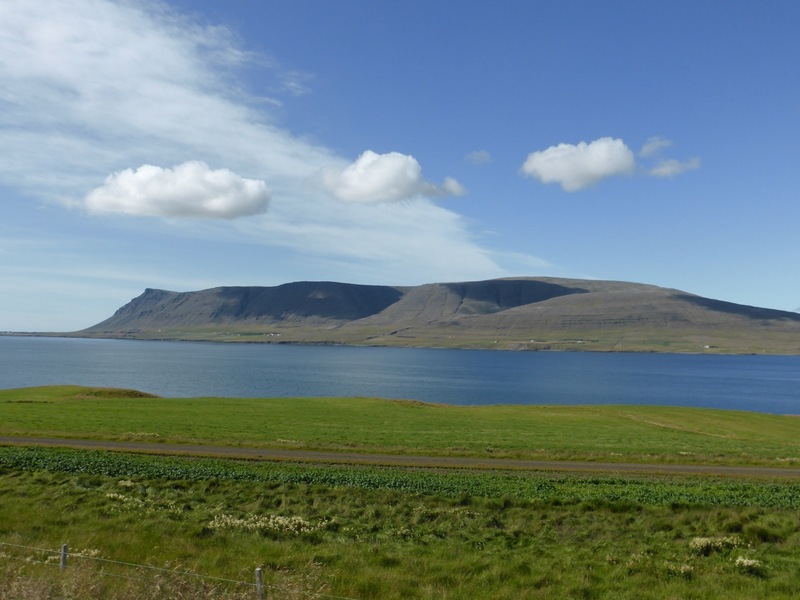 They weren’t overjoyed by this task, and at the first opportunity they killed Hjorleif and his followers, took his boat, and rowed out to some islands they could see offshore. 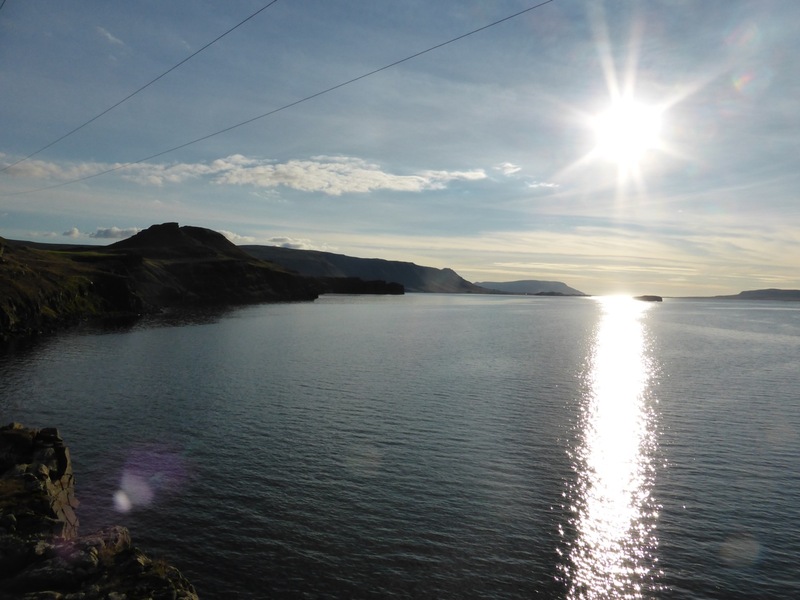 Later that spring Ingolf discovered his sworn-brother’s body, and noting the absence of the boat, correctly guessed where the slaves had gone. 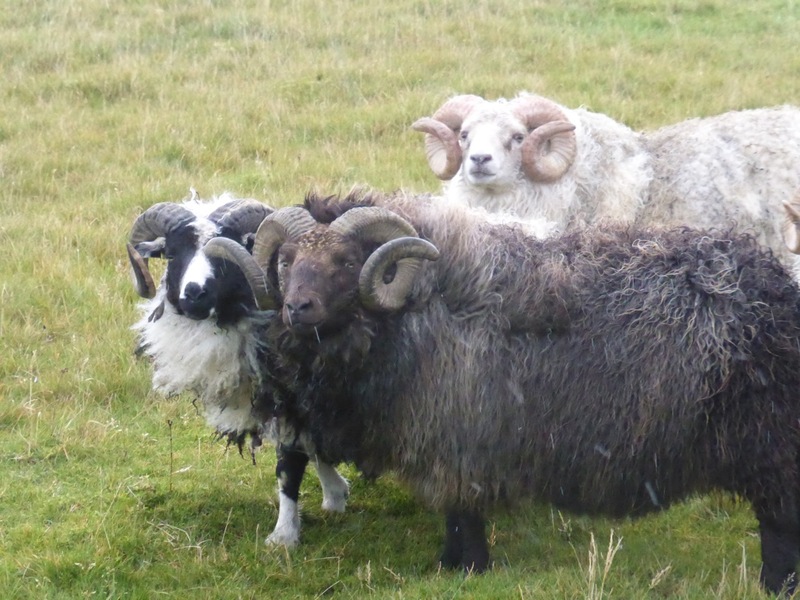 He followed them there with his men, and catching them unprepared slaughtered the lot. 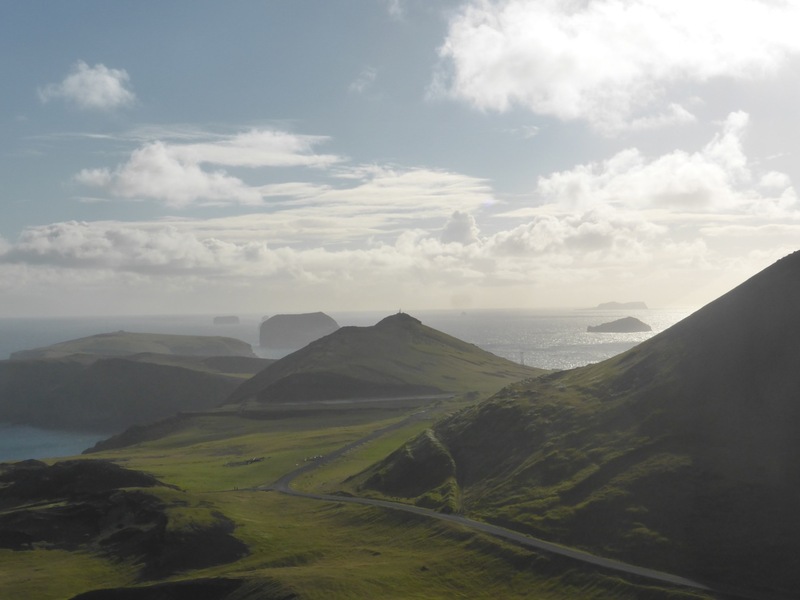 The islands are still called the Vestmannaeyjar (Westmen Islands) after their first unfortunate inhabitants, and they have a history of disaster. 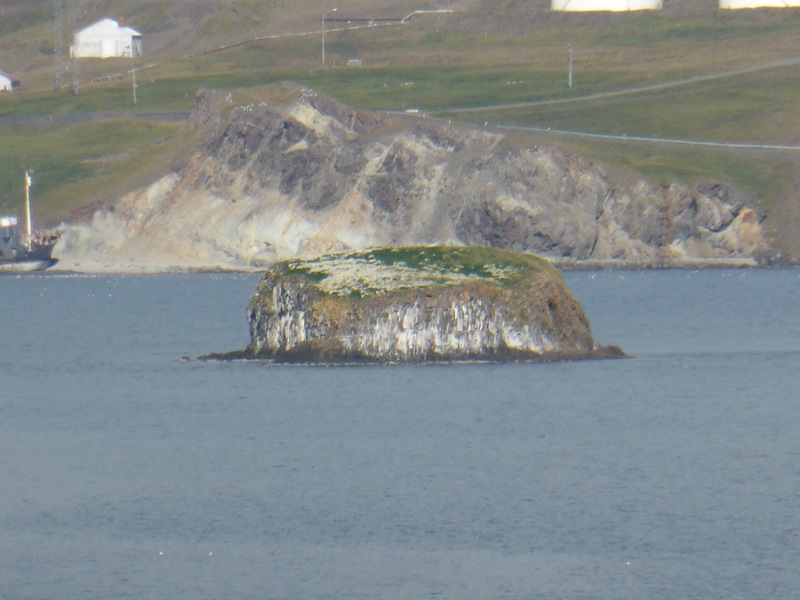 First of the Vestmannaeyjar the ferry passes. 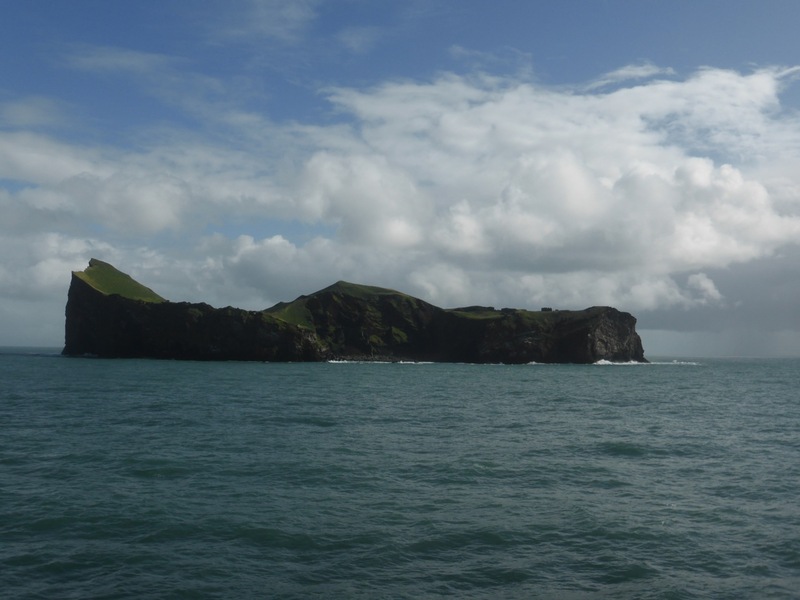 In the seventeenth century the islands were targeted by raiding Algerian pirates and a large proportion of the islanders were killed or captured and forced into slavery. 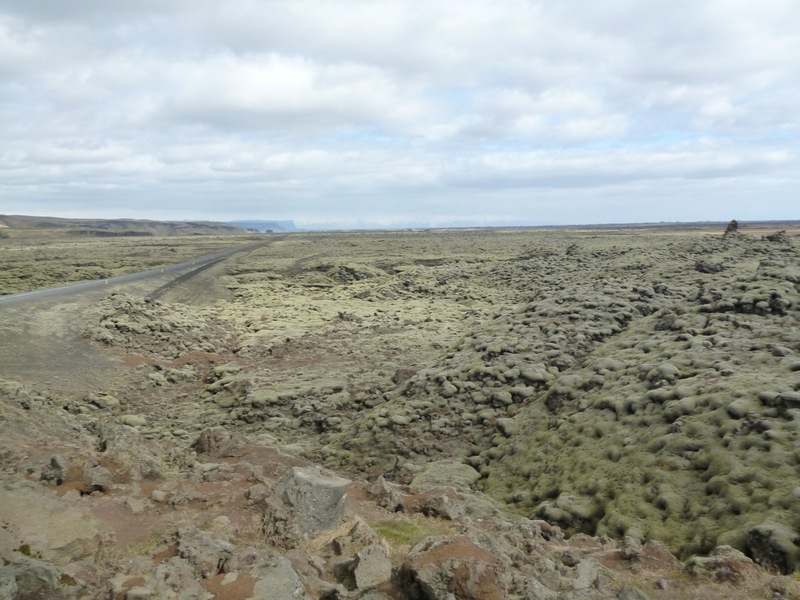 Then in 1973 a two-hundred metre high volcano appeared on the edge of the main town literally overnight, and spewed out vast quantities of lava for months. 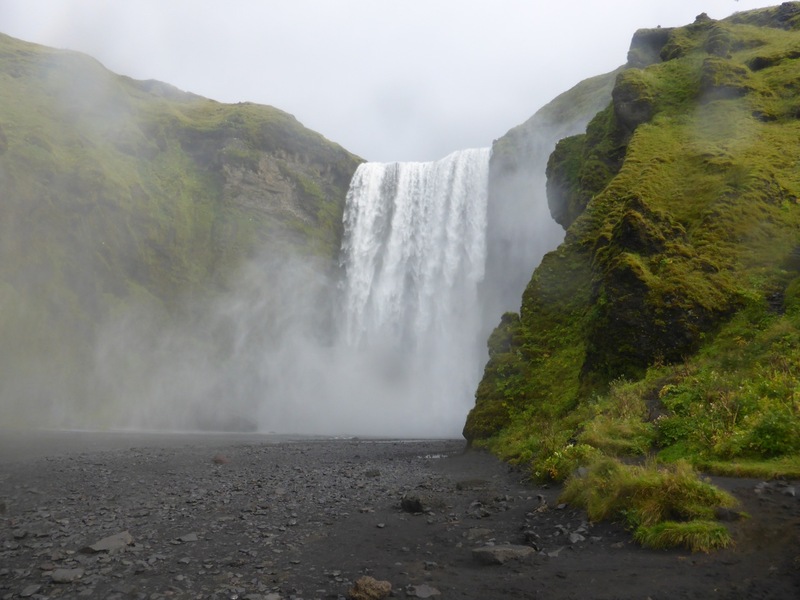 The entire population of about five thousand people was evacuated in a few hours that first night, and then a desperate battle began to halt the lava by cooling it with seawater before it overran the town and blocked the only entrance to the harbour. 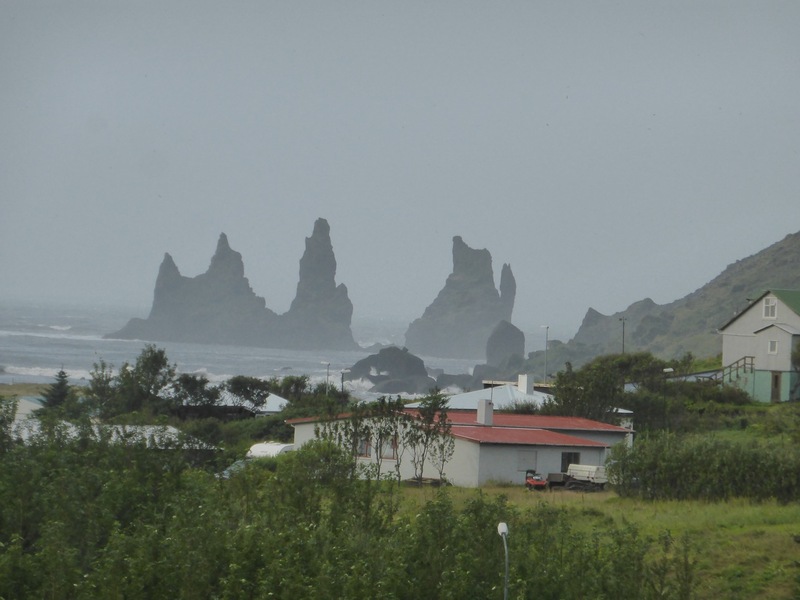 The total area of the island was increased by one fifth during the eruption, but the cooling efforts were eventually successful and both the harbour entrance and most of the town were preserved. 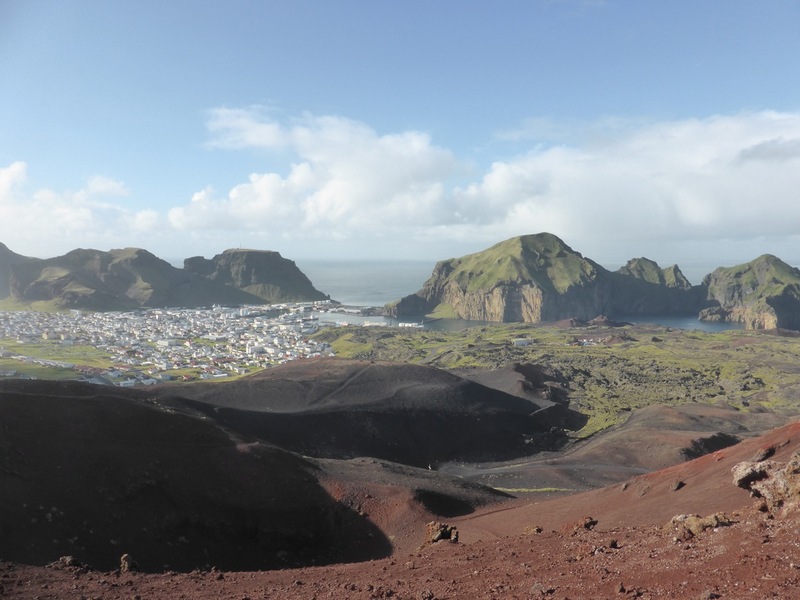 I spent a night camping on Heimaey, the main island of the Vestmannaeyjar, and an afternoon climbing the steep ridges that line the nothern side of the island, and the young volcano Eldfell. 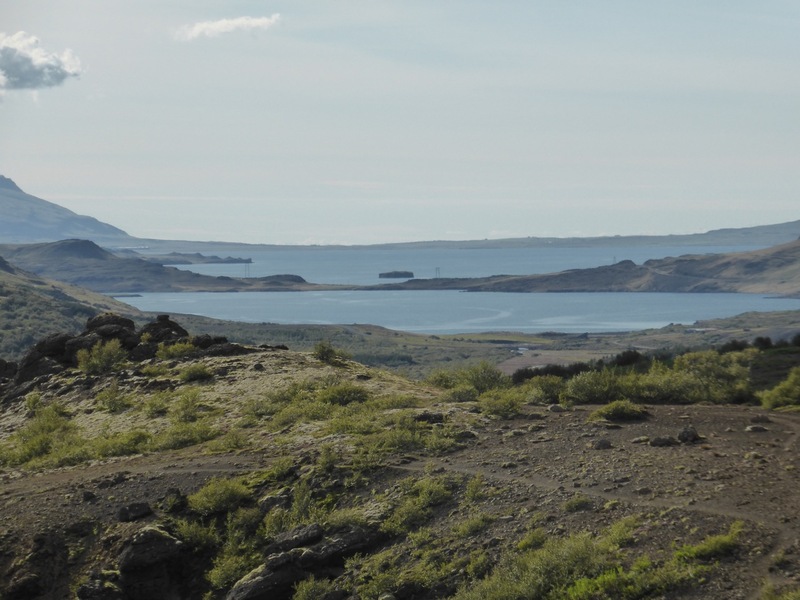 Today it looks as innocent as Hverfell by Mývatn, just a pile of black and red shingle in a U-shape around a burst crater, and makes a great viewing point for looking over the islands.